The question in many Ripplers minds is whether xRapid uses the Ripple (XRP) in circulation, or the XRP sourced from that which is released every month by the Escrow contracts that locked up 55 Billion XRP a while back. The reason for this question is because it is vital to know if the adoption of xRapid by money remittance service providers and banks, will use the XRP in circulation and hence increasing the demand for XRP. As a result, the price of XRP will surely go up, much to the delight of XRP HODLers. To begin with, let us recap on what happened during the lock up of 55 Billion XRP in Escrow. Back in December, XRP fans and users were concerned about the high circulating supply of XRP and its effect on the value of the coin. Therefore, the Ripple team decided to lock away 55 Billion XRP in an Escrow. The Escrow involved 55 contracts of 1 Billion XRP that will expire on the first day of every month for 54 months. 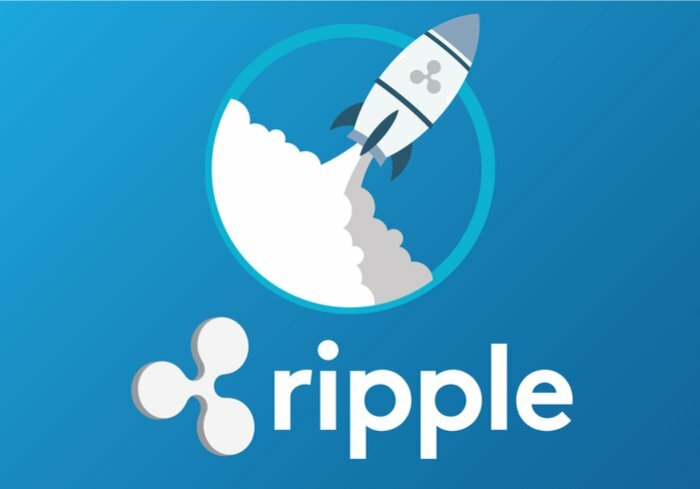 The 1 Billion released per month, will become available for use by the Ripple company. The team intends to use that monthly XRP for incentives to market makers who offer tighter spreads for payments and also to sell XRP to institutional investors. What is not used per month, will be locked back into Escrow once again. How does xRapid utilize XRP? xRapid enables a financial entity to source liquidity instantly by using XRP in the ‘back-end’ of the transaction. XRP being quick (3.3 second transaction speed) and cheap ($0.0004 per transaction) lowers the time spent during such transactions to about 2 to 3 minutes. It also lowers the cost of the transaction by 40% to 70% when compared to using traditional foreign exchange middle-men. The question now is, does xRapid use the XRP in circulation or that purchased by institutional investors from Escrow every month? From the information gathered about xRapid, the service sources XRP directly from the amount in circulation and not the Escrow amount. What then happens as soon as the transaction is done, the same XRP is sold back in the market. It is no different from the daily trading of XRP happening through individual crypto-traders. However, the amount sourced will depend on the size or value of the funds being remitted. But how will this affect demand and the price of XRP? Well, the only way xRapid will affect the demand and consequently the price of XRP, is if more money remittance service providers use xRapid due to the high liquidity of XRP. The coin is highly available thus making it useful for almost-instant payment settlement. As the transactions increase on xRapid and the value of amount sent, so will the price of XRP since these financial entities will be asking for XRP directly from the circulating supply. Think of it as a rogue trader buying and selling amounts of XRP based on his need for the coin. He buys the coin, uses it, then sells them as soon as he is done with the transaction. Therefore, and from the point of view of this author, xRapid adoption will consequently lead to a rise in value of XRP in the markets. Current market analysis puts XRP at $0.70 and up 2.58% in 24 hours. The general feel of the market is welcome as the total market capitalization is $10 Billion shy of the much desired $400 Billion total market cap.